In 1868, Jack Renton, a teenage Scots sailor, was shanghaied in San Francisco. 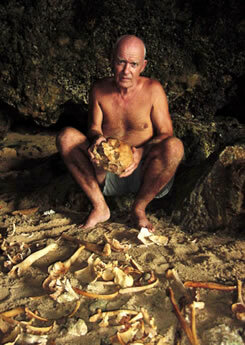 In 1876, he was rescued from captivity on the Pacific island of Malaita, home to a fearsome tribe of headhunters. After the rescue, in a sensational best-selling memoir, Renton recounted his eight-year adventure: how he jumped ship and drifted two thousand miles in an open whaleboat to the Solomon Islands, came ashore at Malaita, was stripped of his clothes, possessions and his very identity, but lived to serve the island’s tribal chief Kabou eventually as his most trusted adviser. For all the authenticity and riveting detail, however, it turns out that Renton’s chronicle glossed over key events that made him the man that Kabou said he loved, "as my first-born son." Mining the oral history passed down in detail from generations of Malaitans, documentary filmmaker Nigel Randell has pieced together a more complete and grislier account of Renton’s experience—as a man forced to assimilate in order to survive. 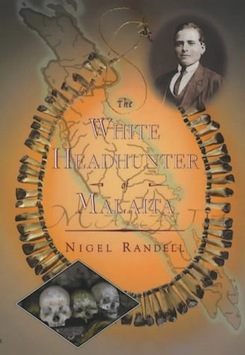 While The White Headhunter is the story of a man transformed by an island, it is also the story of a man who transformed the island as he prepared it for the onslaught of Western civilization. "His telling of Renton’s story is brilliantly done….original and gripping. " "Compelling and fascinating, this rich reconstruction is history you could not make up. " "Nigel Randell’s extraordinary first book reminds us brilliantly of the deeply British secret – that we are not exactly as we seem….it is an utterly compelling story. " "A grisly, fascinating and meticulously spun yarn. " "First time author Randell demonstrates skilled storytelling…fascinating and horrendous. " " A fabulous ethnographic tale inside a larger tragedy of cultural genocide and retaliatory murders. "